Small businesses, single-family dwellings and multi-family dwellings that are eligible for solid waste collection by the City are eligible for curbside recycling collection by the City. Eligible properties include those with four units or less, which generate less than 35 gallons of solid waste at each routine collection within the French Quarter. Orleans Parish residents should call 311 between the hours of 8:00am and 5:00pm, Monday-Friday, to register for the curbside recycling program and to arrange for the 18-gallon blue recycling bins provided by the City. 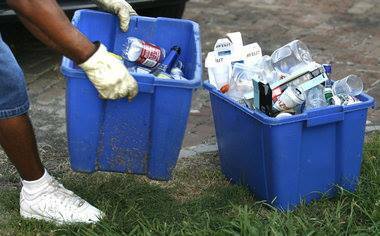 Recycling bins should be placed curbside no earlier than 7PM each Monday, but before 4AM Tuesday to ensure pick-up. View full list of items that can be recycled curbside and how to sort them here. To report illegal dumping, call 311 or click here.